During the inception of Blockchain technology it was basically developed to reinforce the digital currency ‘bitcoin.’ But now it has come a long way and is considered to be the most efficient technology to curb cyber frauds related to financial transactions that needs to be verified electronically over a network of computers. AFourTech is a globally renowned company in providing Blockchain development solutions. We at AFourTech are backed with a team of multi-disciplinary domain experts and delivering a positive and holistic customer experience throughout the Blockchain development lifecycle is our forte. We provide simple and affordable end-to-end solutions for native Blockchain applications developed on an enterprise grade development platform, and these solutions are tailored exactly according to our clients’ specific needs. Blockchain is built on the premise of eliminating the middleman through a decentralized system where the transactions would be validated through a P2P network of computers, aka NODES. These nodes validate transactions and user’s status using well known algos. The transaction here could include cryptocurrencies, contracts records or just about anything TANGIBLE / having VALUE. The new block is added to the blockchain which cannot be TAMPERED with. The above is a basic use case for using Blockchain. Of course, more elaborate options like Proof of Processing, Proof of Audit or ‘Smart contracts’ are possible. Build platforms to support ICO on Ethereum or any other framework. Get in touch with us where we can delve into the details. Our expertise in Blockchain technology falls within the framework that revolves around building new lines of technologically-based solutions because we believe Blockchain has now grown to something that has the ability to change technology for good. We help our clients in building blockchain based applications from scratch as well as we are well versed in adapting our clients’ existing systems and integrate it with advanced blockchain based technology. 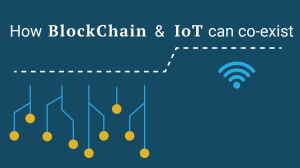 If you have idea and that needs custom blockchain development, then we are here to amalgamate our experience and technological expertise to validate your hypothesis and adapt existing blockchains according to your needs. AFourTech’s team of Blockchain technology experts solve complex problems by converting ideas into working products.